What does one make of the shameful statistic that over 200 million Indians still subsist below the poverty line? How does one square it with the equally obscene distinction that we have the world’s fourth largest number of billionaires, thus making India the second most unequal nation after Russia? Indeed, how does one keep sane when one hears of farmers committing suicides or Dalits perishing in the gas chambers of others’ muck or Adivasis being bulldozed off their lands? Ain’t this dystopia? But wait, practitioners of the dismal science called economics inform us that capitalism is complex and unpredictable, implying we cannot but live with risks. 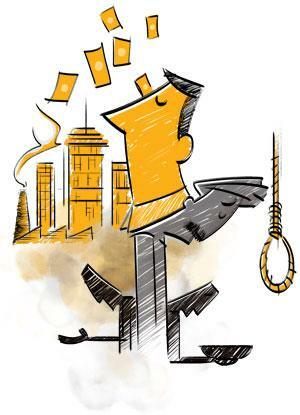 Things, we are told, will get worse first but the rising tide will eventually lift all boats as wealth accumulating at the top trickles down to the bottom. But how long will this take? Aren’t we all dead fish in the long run, as one wised-up economist tipped us off? Admittedly, economics with its forbidding gobbledegook is beyond the ken of ordinary mortals. Why, even top-notch economists couldn’t see the 2008 financial crisis coming! So how does one make sense of this depressingly messy world just so that we can stand in solidarity with the dignity and freedom of all humans? If most economists are sorcerers who conjure up the black magic of modern economics, then there are a few renegades among them who are versed in the art of calling their bluff. Jean Dreze is one among them. 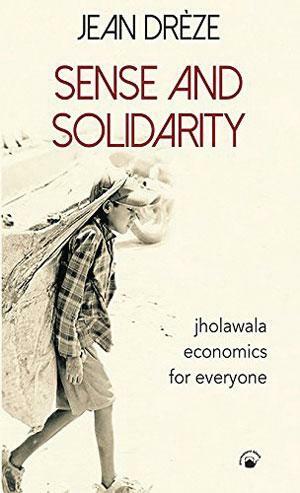 In his latest book Sense and Solidarity: Jholawala Economics for Everyone, an anthology of popular essays penned over the last 17 years, Dreze offers a sombre but insightful window into the failure and promise of social and economic policy in tackling tenacious problems of hunger, poverty, illiteracy, corruption and violence, concerns that for the “suitcase-wala” economists, if they can be contrasted thus with the “jholawala” economists (a caricature of the economic worldview of activists), pale beside their obsession with GDP and stock markets. For instance, in his sardonically illuminating essay “Starving the Poor” written in 2001, Dreze punches big holes in the official food subsidy of R10,000 crore for the poor. For one, half of this subsidy is spent on maintaining ever-mounting stocks of foodgrains in FCI godowns. For another, the quality of subsidised foodgrains is so bad that the poor often have to buy it from the open market even as good quality grains from the subsidised kitty are siphoned off into the open market. For Dreze, hoarding food when millions are undernourished “tantamounts to mass murder”. He also shows how, contrary to common sense, keeping food prices high, presumably to benefit farmers, doesn’t benefit millions of small farmers as they sell very little grain in the open market anyway. The way out, he suggests, is increasing productivity through diverse cropping. Dreze brings the same clarity of thought to his reflections on the economists’ disingenuous manoeuvres when it comes to de-fining who is poor, and who isn’t. For instance, when the Tendulkar Committee proposed thresholds of R26 and R32 per capita daily for rural and urban poverty respectively, it sparked a public furore. A couple of young men even tried busting the Committee’s hubris by trying to survive, at the risk, as it turned out, of their health, on such princely sums. Through a series of lucid lampoons on how economists value human life, Dreze puts a patina of rigour on what was intuitively obvious to everyone. He reminds us that even at the ridiculously low poverty lines suggested by the Committee, a staggering 350 million people were living below it in 2010, which only implies how unconscionably ignorant we are “about the terrifying yet hidden nature of mass poverty in India,” and that “we can’t leave the poor to their own devices”. But poverty is not just about how much you earn. Equally, it’s also about access to nutritious food, clean drinking water and air, education and primary healthcare. Dreze, with his unique approach that combines professional training in economics, impatience with academic cant, unswerving faith in democracy and ethics, to say nothing of his compassion for the poor, helps us wrap our heads around these politically prickly topics. For instance, on the subject of midday meals in schools, clearly one of his favourite subjects, he contends this radical experiment may go a long way in disrupting age-old abominations of caste, gender and class. He also makes a strong case for emulating states like Kerala, Tamil Nadu and Himachal Pradesh in the sphere of primary education. Given the scale of mass poverty in India, he offers a strong apology for Mahatma Gandhi National Rural Employment Guarantee Act (MGNREGA) arguing it would keep the wolf from the poor’s door, empower women by offering them work outside their home, create useful public assets in villages and disrupt caste equations. As useful as his essays on the social and economic life of India’s poor are, his digressions into other spheres of nation’s social and political life, such as nuclear weapons, caste politics, Kashmir conflict and universal basic income (UBI) are more fun, perhaps because un-constrained by what his professional peers might think, he is free to speculate. For instance, his well-argued caveat that governments might use UBI as a Trojan horse to undermine entitlements for the poor won after years of hard struggle. Curiously, he doesn’t allow himself the same degree of intellectual play while addressing curiosities such as Himachal Pradesh’s impressive progress in primary education and healthcare as compared to the BIMARU states. Or the political manifestoes of north India? Or, while making a brilliant case for MGNREGA, the causes of mass poverty, like forced displacements, or environmental crises, a subject that, surprisingly, is conspicuous by its absence. But these are minor laments. The objective of these essays is less to create intellectual frisson (of which there is many a tickle) and more to persuade the reader that it is dangerous to leave the making of a just and equitable society to experts alone; that it must be brewed in the crucible of public-spiritedness marinated lightly in an ethics limned in this quote by George Orwell (also the epigraph to the book): “Either we all live in a decent world. Or nobody does.” To that end, Monsieur Dreze’s cautionary tales are a good place to start.